First published as a serial (in Unknown Worlds Magazine, April 1943) it was released as a novel in 1953 and is apparently the same as the magazine version except for the post war (atomic bomb for example) references. 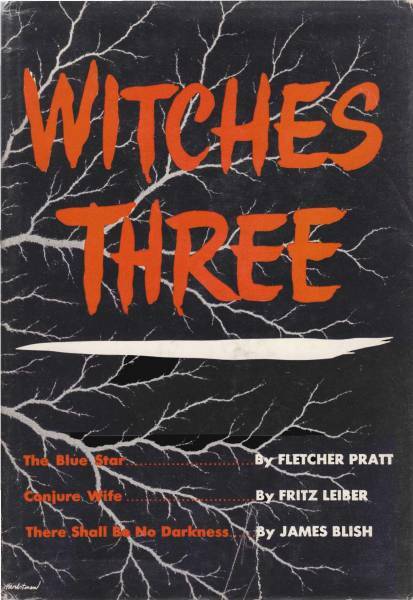 The novel also formed part of a hardcover book called Witches Three along with There Shall be no Darkness (James Blish) and The Blue Star (Fletcher Pratt). 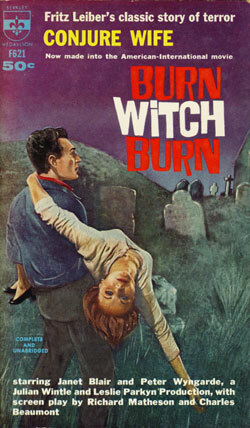 Notable editions: Gregg Press released a HB with an introduction by Foster Hirsch and Charles L Grant. All that’s mine is yours? at Ethos. 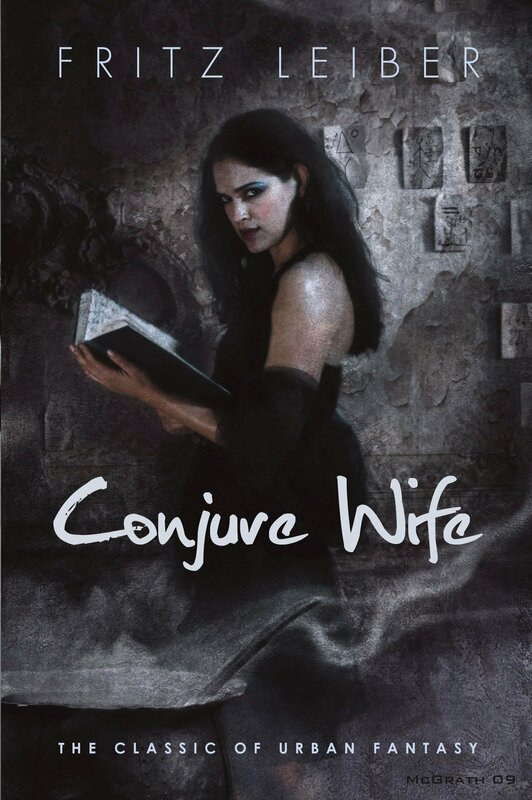 Conjure Wife, reviewed by David Pringle. 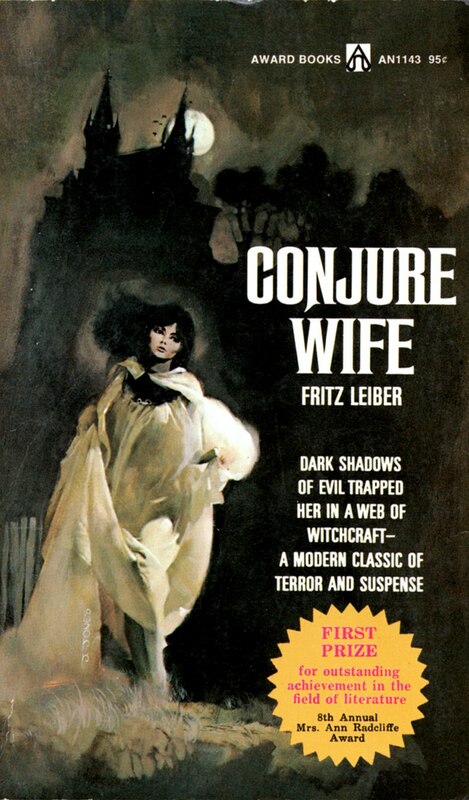 Fritz Leiber (born 1910) is a master of modern supernatural horror fiction. The traditional backcloths of Gothic horror tales – crumbling castles amidst dark woods, lonely mansions on windswept moors – are not for him. His stories are usually set in the cities and towns of contemporary America, and they concern bright up-to-the-minute people whose lives are shockingly disrupted by inexplicable terrors. 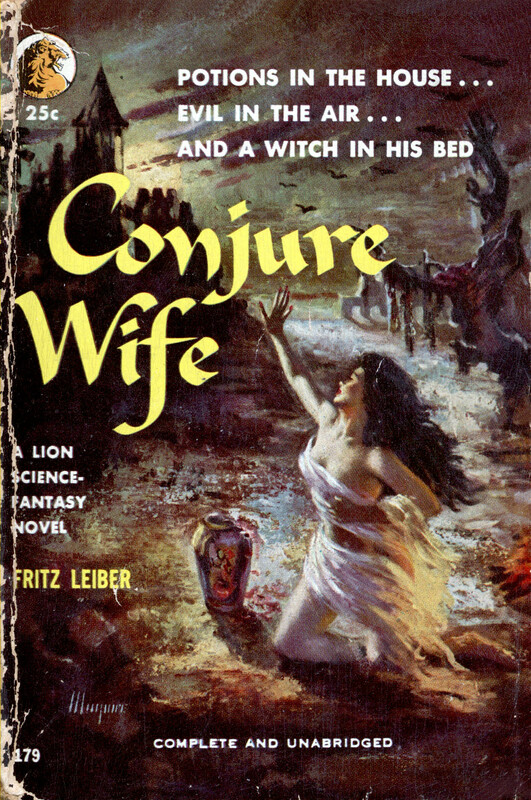 Other writers have followed his example (they include such commercially successful authors as Ira Levin and Stephen King) but Leiber was there first, the pioneer. 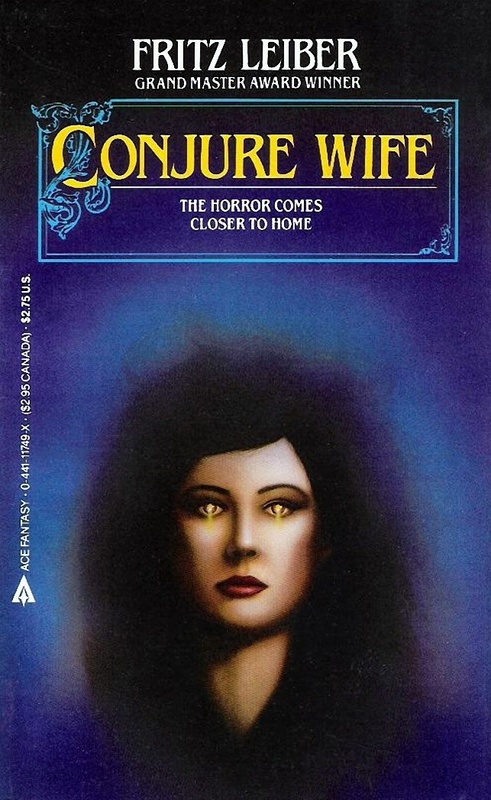 Conjure Wife was originally published in Unknown Worlds in 1943. The expanded text of the book version contains a number of references to atomic bombs and other post-1945 phenomena, but essentially it is the same tale as first horrified and delighted the wartime readers of John W. Campbell’s magazine. Tansy reveals that she is not the only “witch” on campus. For years she has been protecting her husband from the malicious attentions of other faculty members’ wives. A coven of older women has been running local affairs, and now they intend to destroy Norman’s career. They are attacking him in various ways – not least through his wife, who is now open to the malign effect of all their spells. 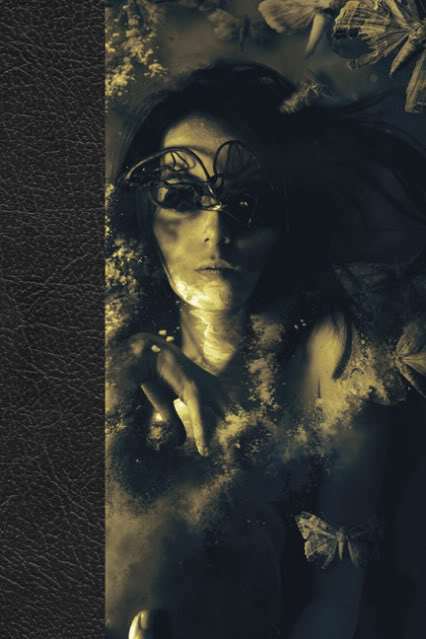 When Tansy becomes hag-ridden by a demon which is intent on stealing her soul, Norman is forced to drop all his prejudices and learn the skills of that same “conjure magic” which he once disdained. Only thus can he save his wife from being turned into a zombie – and simultaneously save his own job and academic reputation. Eventually he turns the tables on the university’s monstrous matrons by a combination of arcane lore and modern academic know-how. 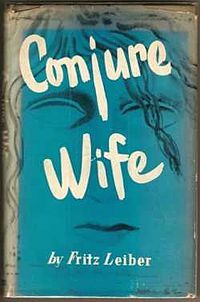 Conjure Wife is a frightening and at the same time amusing novel, based on the paranoid male’s notion that all women are really witches. 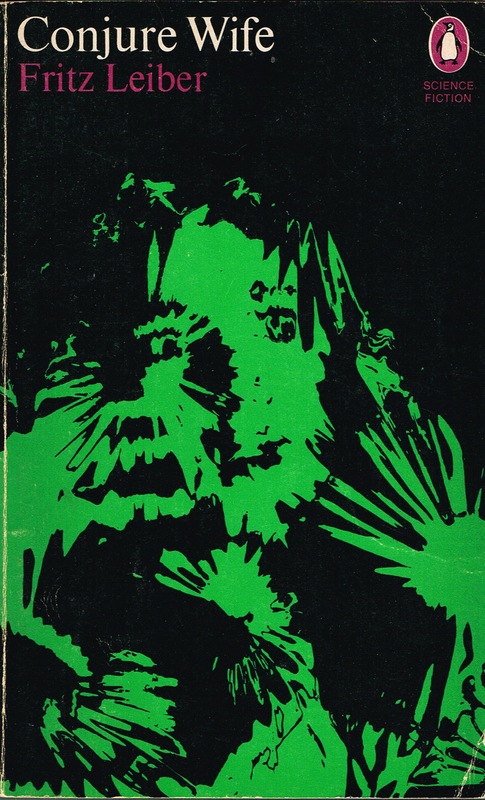 It has dated in certain obvious ways – one is much more aware nowadays of the sexism and racism implicit in the whole basis of the narrative – but nevertheless it remains a highly original, and seminal, tale of the supernatural. 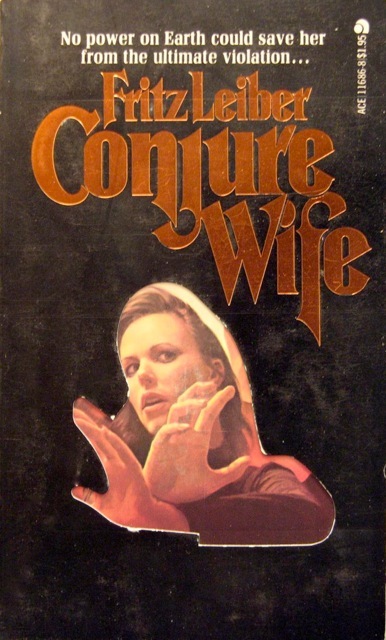 It may even have a strong appeal for female readers, since one can view the novel’s central conceit as a quite deliberate attempt to undermine the whole business of masculine intellectual dominance: it adds up to a comic-horrific dream revenge by women on overweening male pride.